SPARQ is an acronym for Speed, Power, Agility, Reaction and Quickness. 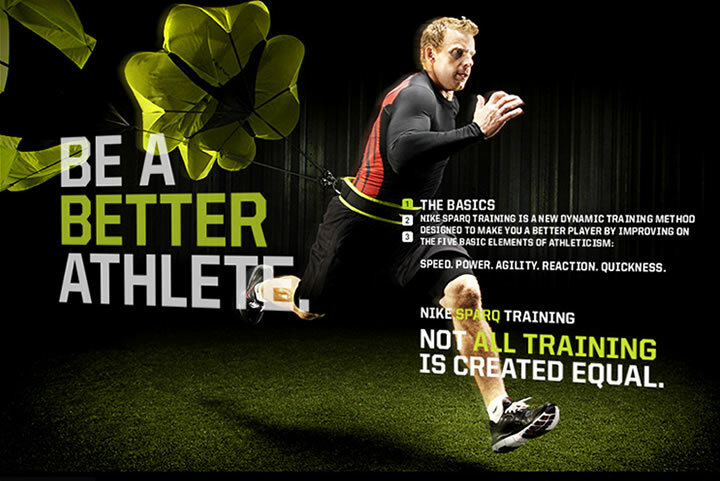 The SPARQ Rating is a scoring system designed to measure sport-specific athleticism. The results from various tests in each of the areas of speed, power, agility, reaction and quickness are combined and weighted using a sport specific formula. Every year Nike hold a SPARQ combine and the top high school athletes are invited to take part. If you know where to look there’s plenty of data involving many of the big names making up the 2018 draft class. Even though their testing results could easily be different at the NFL combine — it’s still a useful benchmark for what we can expect in Indianapolis. I had to search numerous websites for this info. Many prospects either didn’t participate or chose not to reveal their results. You’ll notice there’s no mention of Bradley Chubb, Vita Vea or Tremaine Edmunds. Running backs Damien Harris (126.93) and Bryce Love (122.43) didn’t declare. Bo Scarborough, Sony Michel and Braden Smith didn’t complete a full test to qualify for a score. — Malik Jefferson’s sensational 145.65 SPARQ score is mostly down to a 4.39 forty and a 40 inch vertical at 6-2, 215lbs. If he gets close to these marks at the combine, he’ll be one of the big winners. — We’ve often discussed Nick Chubb’s incredible SPARQ performance. The key to his stock will be medical checks on his knee and whether he’s still capable of an elite workout. If he ticks both boxes he could easily be a high pick. — Chubb’s Georgia team mate Sony Michel isn’t quite as explosive. He was reasonably quick with a 4.46 forty but he only managed a 30.5 inch vertical — that’s a 10.5 inch difference compared to Chubb’s attempt. — Minkah Fitzpatrick, Derwin James and Christian Kirk completed SPARQ tests in 2013 and 2014. The data I’d been using for Fitzpatrick and James was from 2013. They both significantly improved their scores the following year. — Roquon Smith plays fast with great intensity but he only managed a 4.55 forty at 203lbs here. His SPARQ score of 97.20 is well below the likes of Lorenzo Carter, Rashaan Evans and Jerome Baker. It’s something to keep an eye on at the combine. He’s really good — but a mediocre combine would hamper his stock. Teams want speed at linebacker these days. — Calvin Ridley is a very consistent receiver. Physically, however, he’s unspectacular. He isn’t big or particularly fast and at the SPARQ combine he ran a 4.54 at just 169lbs with a 32 inch vertical. It’s hard to get excited about Ridley. — Quenton Nelson and Da’Ron Payne weighed a combined 650lbs at the SPARQ combine. They both scored higher than Derrius Guice. — Braden Smith is known as an explosive, athletic freak at Auburn. He managed a 35.5 inch vertical at 285lbs. Providing he tests at the combine, he’s going to put on a show. Nice numbets, Josh Sweat running a 4.46 at 240 lbs is in Bobby Wagner territory. In the last week a he was getting some buzz for his athletic profile, I think from Tony Pauline. Could be a great value pick based on those numbers. Ditto Lorenzo Carter. I’ll be interested to see Carters weight at the combine. It’s hard to get accurate numbers but he might be in the 250’s now or even 260. It’s believed Carter is 6-5 and 242lbs. He has the frame to add a little more as well if needed. He’s said to be 240lbs now. I wonder if he slims down for the run if he’s capable of a 4.39. Anything in the 4.4’s will be incredible. I agree, you weigh 240 and run 4.4 your getting drafted early. You watched much of Josh Sweat? We haven’t talked about him much in here, Dorrance Armstrong could be another guy similar to him. He’s a tough one to check on since he played on a crappy Kansas team. I haven’t watched much of either. I know Sweat’s production was down this year but it was a rough season for FSU. Of these guys we just talked about Carter seems like the best fit to me. Jefferson seems more like a middle linebacker and Sweat and Armstrong more like true OLB’s. Carter seems like he could fill Bruces role, play some SAM and Edge. Sweat has had some injury issues the last couple of years which really impacted his #s. if his medicals check out he will end up being a steal for someone on Day #2 because he has all the physical traits of an elite Edge Rusher. That FSU team had 5 guys who will be good pros IMO. James, McFadden, Tate, Nandi and Sweat. If feel like you put too much weight into high school sparq scores. Yeah high school sparq scores should be a used to measured college prospects, but you seem to lean on it more that than game tape. Maybe, but right now its the only thing thats out there. After the combine you have a new set of numbers to go off of. 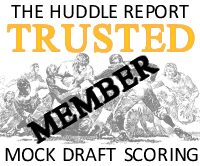 In Rob’s case, he gets hung up on high school sparq scores to base his a lot of his opinions. I too look at sparq scores, AND game tape, AND size length for the postion, AND what they were rated as a high school recuit. Rob tends to wright off prospects because of their sparq score. Also he is hella dismissive if you don’t agree with his thoughts or oppose his view. … said after three or so weeks of relentless praise for Isaiah Wynn who is right at the bottom of this list with a terrible SPARQ score. If you’re going to troll, troll better than this. To put together an excellent SPARQ score, these young men have to dedicate a lot of time and energy to lifting, running and practicing technique. Of course there is natural ability, but a lot of it is time in the gym. It tells you if the athlete has maturity, mental toughness and dedication for his craft. SPARQ=explosion! Explosion=good times, breaking tackles, big hits, TDs! Dave, excellent point about training. I’m looking forward to the combine (obviously, cause it’s awesome!) to see what players put in additional work over the years at college. Roquan Smith, Wynn, etc. I think some young men might not put in the effort at high school prior to the SPARQ events simply because they are so dominant at their schools. Also I know some players, Chubb and Braden Smith, for example were heavy lifters at that time. in Chubb case he was a high level track athlete at multiple disciplines and a state lifting champion. Smith’s backstory has him lifting multiple times a day simply because he loved it. Rob does a great job of looking at every thing about a player, but because this is a Seahawks blog, he knows that SPARQ is pretty important to the Seahawks. They obviously look at game tape but they know they can coach them up – but can’t coach speed. For someone whom I have never seen post you seem to have pretty strong and uninformed opinions. Trollin, trollin, trollin on the river . . . Beyond Rob’s well-written and well-thought through analyses, and beyond the expertise and opinions of so many posters on this site, one of the many other things I like about coming here is not having to read the kinds of nasty comments found on just about every sports site. Thanks Rob and all for keeping this a positive place. Dude, ive never seen another comment section on any website anywhere close to this community. The lack of trolls and the way people rarely engage with me is hands down the best. Even when people do engage it’s to explain that’s not how it works here. Add to that, when a troll comes around they get put down with the ruthlessness of a Spartan baby with skinny looking arms. Remember nichansen? Long gone cause the community had no time for his relentless negitivity. Best place on the internet right here. He runs his own site, TrollsDraftBlog. It’s pretty mundane and looks to mostly be reiviews of the movie Trolls. Seahawks.net has become a “Negative Ever Time” site. A good place to avoid for a few days after any Seahawks loss or even after wins, ’cause they are mostly negative all the time over there lately. Funny how a few posters can be “the worm in the apple” that ruins the whole pie. My visits there have diminished accordingly. He does use them and they have been a great indicator on how they preform at the combine. Plus the numbers they put up could move players up 4 rounds. Might just be the competition, but watching some of Rashaad Penny’s runs on tape, he sure looked a lot faster on film than Sony Michael. Anyone else have a similar thought? Penny also seemed to have great hands and does a very good job with kick returns as well. If we ended up with a name brand RB early, it would be interesting to add Penny if he was available late, as many are mocking him currently. I would bet JSPC would be thrilled to add to the initial stable of RBs to work out. Also, I’d bet the Hawks, like they always do, trade down again to get more players and value out of this year’s draft, especially since it is so light day one and day two. I’d take the Cleveland draft trades proposed earlier in a heartbeat. If we ended up with 33,63 & a fifth for our #18, AND the big name RBs were off the board at 33, what are the odds we trade down again and continue to build our draft capital? We need to be careful that we do come out of the draft with whatever it takes to address our running game first as know we’ll continue to look hard at D players as well throughout. Would Penny be good enough to satisfy JSPC as a viable RB for our needs? There’s been talk on here about reinvesting in the offense to create some balance on the team. For me the way to do so is to draft offense early, so that eventually you have some offensive stars worth resigning. They have been incredible at unearthing mid and late round defensive stars. It always looks like PS/JS early round picks are for players with unique measurables combined with quality on-field contributions. Is that guy there where they’re likely to pick? Hard to see a real difference in RBs projected at #18 and a few likely to be available in 3rd round. To my eye the main reason a trade-back looks so likely. The only thing with Penny and other small school picks is Seattle often picks players, like a lot of teams, from the power five schools. I like penny quite a bit and think him performing at the senior bowl is a great move while so many are not playing. He’s gonna be great. We’ve seen small school backs be great look at David Johnson. I really like Penny would love to hear the Hawks call his name, he gives us that run and pass catching threat. he probably will be great. and I will be bummed if seattle has the chance to draft him and avoids him with no other particular plan. there are a lot of success with small schools. don’t think for a second that I don’t wish seattle would open their drafting parameters a bit. especially when a guy physically is their type but plays at sdsu. —-2017, Penny has TD’s 4 different ways this season, 23 rushing, 2 receiving, 2 KO-returns & 1 punt return. —-Penny holds the NCAA CAREER record with 7-KO returns for TD’s & has 81 CAREER KO returns for 2449-yds., with a sparkling 30.23-avg. which is ranked 6-th best in FBS since 2005. I’ve always heard it said that RB’s need to have special teams abilities, if correct, Penny has that in spades. How does he compare to the other top RB’s in this class in terms of special team abilities? He blows them out. continues. A month ago Penny was ranked as a Rd-5/6 type prospect, a few people must have looked at his games and stats and realized he was considerably “overlooked”. As a result, Penney is now looked at as more of an early to middle 2-nd rounder (right in the Seahawks wheelhouse) and is generally the #3 or#4 RB in the rankings at least on those sites that update their rankings frequently. In the championship game my eyes were telling me Sony was more explosive (quicker, faster, elusive) than Chubb. Reminds me a little of Terrell Davis. He easily was the quickest, fastest…. football player on the field. His football speed was outstanding. Vision, burst, cuts, footwork also were assets to his draft stock. it will be curious to see how their line performs and how the Hawks line performs. Any interest in Kamryn Pettway? It seems that he might be a good second RB pick if he is in the 3d day of the draft. He might even work as a FB, with his size and blocking. Yeah, him and Lavon Coleman are interesting late-round options. Rob and SDB community, did you guys watch the East West Shrine Game today? Did anyone stand out? I recorded it and I’m watching it right now. Bobby engram is coaching WRs. OC in the game but coaches WRs for Baltimore Ravens. RB D’Ernest Johnson is a smaller ‘lightning’ back, looks 200-210 lbs. He’s running a lot of power, one cut runs. Looks fast. DT Tooner Ford, 5’11”, 309 lbs, he made Mayock’s squatting bodies list. Power and leverage, he gets low. Thanks for the notes. I followed the practices all week, but wasn’t able to catch the game. Poona Ford we’ve been mentioning constantly over the last few days. (Volume 12 far before that) He’s short and squat, but somehow genetics messed up and gave him 33.5 inch arms. That length, coupled with his low frame, gives him a huge leverage advantage. Coaches didn’t see his potential and bulked him up in a bad way his first three years of college, negating his quick first step. Only last season after a coaching change did he start to regain form to be the quick inside player he can be. So he quite likely has even further athletic potential with another year of good training. Nonstop motor and work ethic. Would love to take a chance on him in R5. I tried to watch it. Terrible QB play makes it hard to really judge. They were not good. They made a big deal of JT Barrett being there. He has a big arm but the ball doesn’t get where he wants it. The offenses looked completely out of sync. I like your Michel, Ford and Griffin picks. I called Poona Tooner by mistake in my previous comment. I also think bo would be terrible on our team, he’s a straight up power back who needs a bigger hole than others to get going. Id be very concerned that he’d have similiar success (or lack of) on our team as Lacy. love blanding late. most fans are going to be put off because he’s not a “hitter,” at safety but he appears to me as a very long tactical player with great form. and as I said he wasn’t a “hitter,” in the traditional safety sense there’s a few great instances of goal line stops from him. actually for a,no trades mock I like it. I do wonder if Michel is a three down back? he was very explosive in the championship game but there must be some reason why Chubb consistently carried the rock for Georgia. The Seahawks likely trade down into the late 1st early 2nd. This is a great draft for Rbs so they likely don’t take one with the first pick. They are just lower value pieces. If Royce Freeman has a solid 3 cone and broad jump then I would definitely be happy with him over some of the earlier options. After watching the Oregon offence It’s clear how effective their RB committee is while still having a lead back. The range of skill sets is nice to see. They use a range of formations and motions which is likely what Schottenheimer will bring to the Seahawks. They also use a range great mix of power and zone concepts n the running game which Solari is likely to incorporate into scheme. With a new coaching staff it’s hard to know whether Ifedi will stick at tackle or move back to guard. High upside DE’s are harder to acquire later in the draft. An early DE is definitely in the cards considering the lack of young talent on the roster. However the talent is more solid than spectacular. Hopefully the combine can help weed out the worst of the bunch. Lots of guys to like such as Rasheem Green, Marcus Davenport and Ogbonnia Okoronkwo. Lots of big unproductive WRs who have high floors and low ceilings and significantly better smaller receivers. DJ Moore probably offers the greatest difference in skill set to the current talent on the roster. Overall an early pick just isn’t priority especially with numerous later options available. There is a lot of depth SS group there probably won’t be a high quality FS in the next two drafts so really can’t see Earl moved without significant capital being given up. They just drafted Delano hill so don’t really see the point in an even earlier pick without ever seeing him start. A SS also isn’t all that important unless they’re special players and there isn’t one like that in this draft from what I can see. I think the talent at CB overall isn’t great but there are a lot of taller Seahawky corners available who will probably go in their usual range for DB’s. Can’t really tell who to pinpoint until after they test athletically. If they aren’t very explosive (roughly 10.5ft broad jump or more) with 32” arms then it’s unlikely the Seahawks pick them. Special teams should only ever be day 3 picks. If Tyler Lockett wasn’t a good WR 2015 would have been a disastrous draft. A kicker and punter who is at least league average won’t be the reason you lose games. The burden is on the offense and defense to perform. I’d love for a player like Ogbonnia Okoronkwo to show elite speed at closer to 255lbs but that’s unlikely. As of right now I think Marcus Davenport looks like the ideal pick in the late first/Early second followed by Royce Freeman in the late second early 3rd. That fits two of their biggest needs while also maximizing the value of those picks in this draft. I, for one, would not be disappointed at all if we are able to somehow get both Davenport and Freeman. That said, I’m more on board with Daniel Jeremiah’s projection of Davenport going top 15 or even top 10. Even being as raw as he is and having played against inferior competition, guys like that are rare. If he is still on the board at 18, that would already be a fall for him IMO, so hoping to trade down and still get him seems pretty impossible to me. If Royce Freeman posts anywhere close to his HS #’s? Watch out. That man will be a hot commodity. Under appreciated ijn the his draft class by far. Freeman’s issue (lack of physicality for his size) will never change. But a team will value his combination of short stride foot speed and quickness and ability to cover a lot of ground quickly. He will be a good back for someone and a very clear round two pick IMO. But — he won’t fit every scheme. He’s not a violent runner, but I’d like to combat the perception that he’s soft. He’s not soft, he’s just not Mike Turner. He’s not Steve Jackson. Never will be. It’s just not the focus of his game. He’s looking to break contact not initiate it. There certainly is a difference between ‘soft’ and ‘not physical enough for his size’. But it is an issue for me and something that exists. He’s a 230lbs back and I wouldn’t feel confident using him on 3rd and 2 up the middle. He has talent, he’s a second rounder IMO. But he could be more. After watching more tape, I definitely agree, I wish he was a bit more physical. Though Oregon’s offense is designed to get guys in space, so that could be a factor. I still really like him as a player, I just think he has great vision and is a patient runner. A very lofty comparison, but I see some Leveon Bell qualities to his game (though obviously not anywhere near that level). It will be interesting to see how much our run game changes schematically under Schotty and Solari, but if we stick with the ZBS we need a back who has great vision. Though that short field power is also a big factor. Maybe he will surprise some people. I don’t like him as much as Michel, RJ2 or Chubb, but think he could be a good value pick. But the concerns you bring up are legit, the power leaves something to be desired. I keep sayin; this kid is NICE with it. STs should never be a draft pick. Ever. That’s what UDFA is for. I don’t totally get on on board with this. you’re not really expecting much with a 7th round pick. if it keeps you from a bidding process and a low price kicker, if you get one that’s better than Walsh and the new guy (73%, yuck) I’m all for it. seattle at it’s best plays a tight brand of football and though there are tons of reasons why “it’s not Walsh’s fault,” team play, etc. you can’t go to battle with a guy who makes you look away on every kick outside 40 yards. are you talking gunners and long snappers or everything? you’d think with the importance of field goals more place kickers would be draft picks. but it’s just as likely or more that they are good as UDFA. weirdly 9 of the top 10 punters in yards (and pro bowls, all pros…weird award for a punter) are 5-7 round draft picks. I would have thought of the two kickers this would be inverted. Yeah, Vol, that was me the other day on Notre Dame TE Durham Smythe. Glad you were able to take a look! He’s your move guy with outstanding hands and concetration. Willing but not as able inline blocking, but his blocking in space is good I think. Did have a Jones fracture (foot) and missed the first 5 games of his Senior season, so that will have to get checked out. Showed grit to get back quick though. Gonna take a year or two to develop and is coming off a Nov. 24 MCL injury, but TONS of potential here I think. Moves really well at his size and gets after it blocking. Leader. I could see them buying into the higher ceiling and taking him over Conklin. I’m eagerly awaiting his measurements and performance the Senior Bowl. Think he’s another Vannett and the Hawks very well may be looking for another guy like him to help the run game. Hopefully he’s overlooked… You know PC/JS won’t miss him though. 😉 Remember them after drafting Vannett: “we’ve been looking for a Y tight end for years.” Gave the impression they thought he would go in R2 and were surprised when he was still there for them in R3. Seattle needs at least 1 TE from FA or draft…. and perhaps 2 of them. Vannett, Swoopes are the only guys on the roster right now. I’m leaning towards Graham being gone, even though I think the new OC might get him more involved. I also think, unless he takes a very modest deal (~3M/year), Willson will be gone as well. Thought that was you. Oh I like Herndon. I’ll take a look at Conklin. ASJ, hes turning his life and game around and maybe wants to come back home. ASJ is my vote as well. He will appreciate coming home to play and he’s seemingly turned himself around. Also, he’s talented as hell. Herndon in the draft and Trey Burton in Free Agency would set us up nicely at TE. I think Swoopes is going to surprise people this year as well. Anyways, I’m gonna leave ya’ll with a gif of the greatest RB to ever play the game. Hot take or not. Those holes? That’s what a ZBS is designed to do. Create cut back lanes. Not the trash Seattle has been trotting out the past 25-30 games. Yup, not sure how Barry being the greatest ever is a hot tale though. I thought it was common knowledge that Barry was that good without a QB to compliment him, or even really that good of an offensive line. Oh, you know there’s someone out there that thinks Walter Payton, Enmity Smith, Earl Campbell, or whoever is. And those are elite, once in a generation backs. Barry though? The things that man could do were only rivaled by one other back. Bo Jackson. He was the greatest athlete to ever play. Hands down. Can you imagine if Barry hadn’t retired early? The rushing record would’ve been shattered and unattainable. Most underrated rb in history is Marshall Faulk. If he’s not in anyone’s top 3 All time you haven’t been paying attention. Barry is the best though but I have faulk in second. Greatest pass catching back of all time? Thurman Thomas? Or Marshall Faulk? I go Faulk, he ran receiver routes a lot as well. Faulk and to not close. I’d go with Marshall Faulk, but honestly the best is yet to come with guys like David Johnson and Leveon Bell. John Malkovich / brilliant / killed it. Both games probably better than Super Bowl. Gus Bradley really did help build the Seahawks South for Jacksonville. Very similar blueprint & formula. Adding Calais Campbell really tied that DL together too. Echoes of Seattle adding Bennett & Avril immediately before our title year. Happy for the Jags. Finish it! Can you imagine that Jags D with Earl playing FS. They have thr best corners in the league IMO. FS is the only weak spot on that D.
Is there a RB that reminds you of Fournette in the 2018 draft? I’m jealous of him, their use of the FB, Cam Robinson. Fournette is amazing. The scheme in Jacksonville doesn’t get enough credit though. The Jags are beating the snot out of NE. Still no lead ever seems safe against NE. I have no pity for Gronk he plays dirty. Live by sword die by sword. It’s a lot of fun watching JAX. They’re so similar to 2013 Seahawks — in philosophy, scheme, personnel on both sides of the ball. Obviously a big difference at QB, but otherwise so much in common. It’s no surprise; Gus Bradley built this roster in the same mode as the Seahawks. Marrone pretty much continued what Bradley started, and even Coughlin’s offensive philosophy is similar to PC. It’s a reassuring validation of PC’s core philosophy. Just need to refocus on that philosophy, recommit to executing it, and reloading the roster to replace aging/lost key personnel. it is fun watching them. a lot of swagger. bortles, watching him scramble around looks so slow in his cuts compared to Wilson. On a different topic, did anybody hear Mike B’s remarks this morning? That D won’t let go of 2nd down and goal from the 1. They either forget or choose to gloss over giving up a ten point lead in the 4th quarter. It still stings but I’ve moved past it. Guess for many of them 2nd down and goal from the 1 took away their changes to be a dynasty. So looking forward to moving past some of these guys in the next few months. Oh, and by the way…Go Jags!!! I’ll never get over it. You had to pass there, with minimal time and one timeout, a throw was needed. But throwing into the teeth of the defense to a special team guy is the dumbest playcall in SB history. Ball go through his hands on third and really long earlier they score there instead of punt. He had a sure score. Had Lane not run the INT out and gotten hurt the Hawks could routed them like the Broncos. But instead, they didn’t carry enough DB’s (which doesn’t make sense to me) and it killed them. A lot of what if’s. Fact is, the Hawks blew it, just like the Falcons blew it. That’s what happens when you let teams (especially with Brady) hang around. You’re right could have run and called timeout but then on third you have to pass and they know it. kind of rich to give up a 10 point lead in the 4th but you’re going to still hang on to a boneheaded play call. but they had them. in that game. they had them and letting it come down to one play is the hardest thing to watch. I get their frustration I really do. me I would have liked to see a run pass option. pulling for Jax but seems like a long way to go with Brady and a quarter still to play. So this is what it’s like to see a really good kicker. Lambs is nails. Brady is amazing I have to admit. Ice in that mans veins! While it’s true this game isn’t over and the Patriots could bring this back, it’s clear, as Pete said in his end of season press conference that there are two clear things that can make you a championship team. Good, hard running and solid defense. This is what the Seahawks won their Super Bowl on and this is what is giving the Jags a chance this year, despite the clear ineptitude of their QB (tbf to Bortles he has been decent tonight). While these recent appointments have caused some murmurings of disapproval among fans, they might in fact be perfect. As we’ve said, this is Petes defense, it’s going to be good. Maybe all that’s needed is some fresh impetus and a renewed hunger, some new young stars broke out this year and we certainly have a lot too work with. On offence, we have a run first OC, all we need now is the personnel to execute. For me personally, I trade down in this draft and pick up as much capital as possible while picking up the best running back on the board. For me we trade down and take Ronald Jones as late as we can. Pick up a big WR, 7th Round TE and OG at some point. And then load up of defence. As we’ve noted LB appears to have some good depth and some good potential mid round D line prospects. Its literally the exact same formula Seattle has used. Bully the opposing team and dare them to stop it even though they know what your doing. Watching 3 of 4 playoff teams with low paid QB and stars on D makes one think. If the Browns offered #1, #4, #36, #63 and their 1st next year for Russ do you make the deal? yeah but isn’t this Brady’s 12th afc championship game? Russ is amazing but he is not close to Brady. sorry I should have finished that thought. I agree but I think some of this is belichik > everyone else. Could turn #1 into another couple of #1st round picks and completely transform the roster getting back to dominant D and run game. it would be amazing to have a great defense again. however even in Wilson’s game manager era….he was/is still better at AN as a rookie than anyone else has ever been. so you’d have to get an amazing defense but also find a qb that wasn’t giving up a turnover nearly as often as a touchdown that many teams more often find with their new qbs. No matter the picks we’d get, I don’t want to send Russ to NFL Purgatory. Simple answer…NO. Ramsey has had two really bad PI’s recently. He really can’t be doing that. Disagree, in today’s NFL they certainly were. 1st PI was, 2nd he turn him by the shoulder. Could have been ruled hand fighting tho imo. Would love to see the patriots on the wrong side of penalty disparity for once. The calls were blatently one sided when JAX got the ball back up 14-3 in the first half. Patriots going down 3 TDs??? Yeah, not the league favorite. PI needs to be a spot foul. Stupid that its not no guarentee the receiver catches it, can’t have plays with 30+ yard swings. agreed. another way college is better than the pros. I’m in the minority on this one today, (I assume you saw sherman’s Tweet). If you’ve got a man open for 50 yards and you know you can tackle him early and save 35, advantage defense. Spot it where it would have been caught. The one on AJ Bouye before the half was awful. A pity call. Cooks takes the outside release and let’s Bouye punk him up the sideline. That’s a flag now? Thought it was bad route running, but boy was I wrong. Here comes the inevitable Patriots big moment. It is crazy isnt it! Everyone knows its coming it is inevitable as your next breath. When Brady converted 3rd and 18 I knew they were taking the lead at some point. The parallels betweeh this game and the 2014 superbowl are strong. On a completely unrelated note I think Romo is an awesome color guy! Year one and already the best IMO. Love Romo. He calls games like he was he your boy and you were sitting at a bar or on the couch. This Jags defense isn’t close to the 2013 Seahawks imo. They get soft when they have a lead. It’s similar. They don’t have the talent in the back end though. They dont have a FS like Earl or SS like Kam which is huge. Rest of the D is as good or better IMO. I’d take BWagz and KJ over any of their LBers. DTs are better and Campbell and Bennett, in his prime, is a push. Are they better than Seattle currently? Yes. Not better than the 2013 D.
“Sacksonville” has provided almost zero pass rush. Their slot corner and safeties are average. Exposed. What a play by Gilmore! Wow! No Edlman, No Gronk. No problem when you have the GOAT playing QB. Jags cant blame Bortles for this. I agree. You can’t expect bortles to convert 3rd and longs. honestly do you think Jax considers a new qb? he wasn’t garbage today but they had been winning in spite of him not because of him. I think they might unless you sign for cheap. four years in and he’s still pretty crappy. This is Bortles last game with Jags. He did not play good at all in 2nd half. I hope someone in Cleveland is getting cold sweats watching bortles because Josh Allen and him are the same thing. Assuming they don’t lose anyone to FA, you give Jax another draft and acquAlex Smith, SB contender. Not saying Alex Smith is a SB caliber QB, but he is on that team. I get the feeling/don’t think he knows what he’s looking at. Will wait for his RBs to make their protection reads and just duml it off to them. Asking him to lead a 4th quarter comeback drive was probably a bit much though. Duuuuude. Ever since he was draft eligible.. I was like what could possibly this world hold for Blake Bortles.? People talk about TEs in a QBs body… Woof. I never imagined him going as early as he did. In fact, where he is and what he’s done every year has IMPRESSED ME. Thats how low my expectations have been for him. He’s a big boy and an obvious pro. His biggest assest is his short term memory and not buying into his own anti-hype. Not his athleticism. Definitely not his vision. Jags blew this game by playing Conservative at the end of 1H. Minute left, 2 timeouts and they dont even try and just take a knee. Timid.. No risk it no biscuit! Tom Brady is the GOAT and a LEGEND. On to another ring. Brady is UNSTOPPABLE!!! It is official Brady and BB are not human! Hate the Pats but wow. I hope a reporter asks Ramsey why he overlooked the pats lmao, how you going to talk crap about the team you just played doing it and then do the same thing the very next day. Yucks.. pats shutdown fournette and game over! a better QB might have won! hope they don’t overthink this, this year. I’m not sold on the RB yet but even if they trade down they need someone in the worse way. forget the injuries and Blair Walsh. where would they be if they could have just stayed on schedule during the season. I think the value at RB is in round 2 this year. Can’t wait to see what Udub DT Vita Vea looks like at the combine. Built like a 1-tech, athletic enough to play 3-tech, and can line up at 5-tech. He’s one of the most unique prospects in this draft. I agree with the value. some really interesting WR talent like your guy jaleel scott later but the cliff drops pretty hard for the running backs after the top 8. even this time last year you spotted Carson. I don’t think any of the late round guys show much on tape. as per veae, those that arent seeing it i can’t help them. dude is like you said one of the most unique prospects in the draft. All joking aside, the path back for the Hawks is clear. Trim the fat on defense and invest in the running game and young defensive playmakers. After Jacksonville’s loss, I wonder how they feel about Bortles moving forward, which makes think about them being a potential trading partner with Seattle? The draft could play out so that sitting at Seattle’s R1-18 pick there is a QB whom Jacksonville views as a better talent than Bortles. Lamar Jackson would be 🔥 in that offensive scheme. that would be a nasty team with him. That seems to be an idea with some legs. The issue they will run into is still not having a QB to put them game on his shoulders and make those tough throws. Don’t kid yourselves about Bortles’ performance. That was one of the blatant examples of trainings wheels I’ve ever seen for a veteran player. When push cane to shove, he wasn’t able to process quickly and get rid of the ball. He missed on some big throws. Will Lamar be better in that regard? Possibly. But hey, give us your first round and a third and call it good. Agreed, would love to see LJ to JAX. Would be fun to watch every game. Sh**. How much cap space the Jags got? Maybe they make a run at Kirk Cousins? $25m, with an extra $19m if they were to move on from Bortles 5th year option. Only Allen Robinson to re-sign really. They could totally do it. Do you think Coughlin would? Coughlin is old and not a fool. he’s got to know bortles is not the answer. plus if Watson isn’t hurt next year the south is going to be a tougher out in general. Jax was very good this year but your qb can’t be holding the team back. If I was the Jags I would be calling JS about Earl. *Yawn* Well, there goes any chance of an interesting Super Bowl. Brady’s too good. I just hope that he wins it and retires. Another year of stagnant predictable AFC/Patriots dominance will only hurt NFL ratings and fan interest. And don’t get me started on the Patriot’s gloating fan base. The NFC is still really interesting, up until any team faces the Patriots in a Super Bowl. I hope I’m wrong the and the Vikings/Eagles get an upset. It would be a storybook ending for the Vikings after that insane Saints win. Well, I’m stoked for the Hawks mini rebuild at least. The Titans game is where I got a gut feeling big change was on the horizon. The Falcons game sealed the deal. I’ve liked the changes so far, especially Norton. The draft and FA will be really interesting, but like I said I’m taking a year off of watching games to focus on school and rekindling my love for the sport…which suffered this year. Also, I think Chubb should be the Hawks target if they don’t trade down. I think FA will be really telling this year. good luck with school. I took a year off of games to rebuild a 100 year old farm house. turns out I’m way less into the pro game now. I love college just because there’s so many things to watch, and minus Alabama their are a ton of great regular season games. there’s also so little new ideas and minds in the pro game. Thanks man, and agreed 100% on the “little new ideas and minds” comment. For me it isn’t even so much the same old same old ideologies and schemes, but the execution of them. That’s what really frustrated me about the Hawks this season. They were so poor at executing things in all phases, and that frustration boiled over and by the end of the season made me apathetic to the outcome of games. For me being hit and miss with terrible execution and wasted opportunities is worse than being just plain bad. Most bad teams remain entertaining and bring a lot of heart and soul to the game. Seattle was a hit and miss sort of team with terrible execution this season, and it showed. Listening to Mike Bennett certainly sounds like a guy who wont be back! Hope we can at least get something for him. Sad because I think if he played less snaps and was used as an interior pass rusher he could still dominate.